It’s a fear and concern I hear from folks in long distance relationships all the time. Distance can be daunting, especially if you’re in a new relationship or if it’s under stress (like during a deployment). John and I spent our entire dating life long distance. (I know that some of you can relate to that!) Between phone calls, letters, and short trips to visit each other, we learned a lot about each other. We talked about everything– even what we had eaten for lunch that day. When we tell that to people, they sometimes look at us like we’re absolutely out of our minds. Why would anyone want to talk about what they ate for lunch? 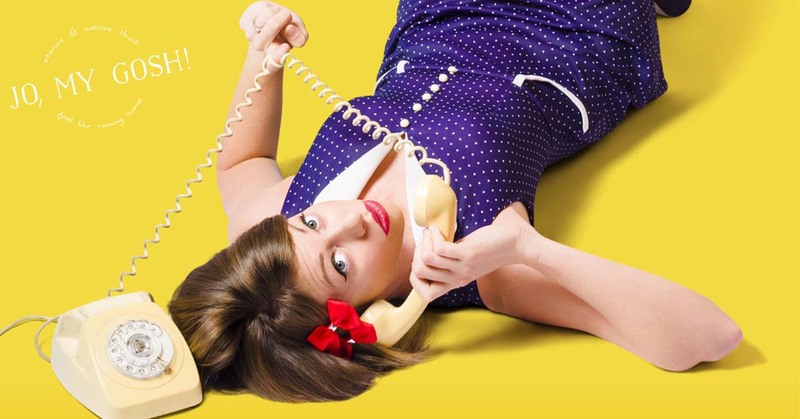 Or any of the other minutiae that turned our phone calls into hours-long conversations? But that was part of the excitement of our conversations– learning new things about each other, asking each other goofy questions, being able to share life with each other as much as we could. And those skills, that interest in each other, helped us deal with a year-long deployment when we couldn’t see each other on weekends or be in touch with each other as much as we wanted. Still, we sometimes ran out of things to talk about or we reverted to some of the same old, same old topics. Maybe you do too. 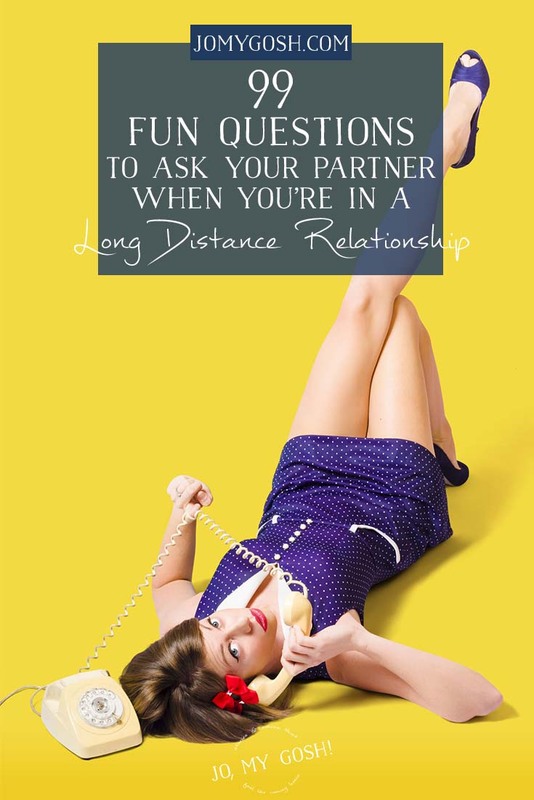 If you’re ready to freshen up your long distance game, here are 99 fun questions to ask your partner! What food do you wish you cook like a world-class chef? What’s the last book you read and really enjoyed? What is one song that can always pull you out of a bad mood? Which celebrity are you rather certain would be your BFF if you ever met? What is one superpower you would hate having? What’s something you misunderstood as a child and only realized much later was wrong? If you had to, what would you change your name to? Which color do you most identify with? What do you think about astrology and horoscopes? If you were in charge, what holiday would you create? What fast food place are you ashamed to admit you love? What was the strangest thing you ever did as a child? What’s the funniest lyric you’ve ever misheard? What would you include in a time capsule? Which sports team would you rename, and to what would you rename them? Have you ever been in a stage production? Which game show do you think you’d definitely win? Is there a game you’d like to play that we haven’t tried before? Can you describe your ideal vacation? What is your perfect brunch order? Which sandwich topping do you most identify with? In your childhood, what’s a food that you used to really love that you can’t believe you ate? What ad is super irritating to you? If you had to run for public office, what would you run for? What are one or two things you don’t understand about the generation after yours? What are one or two things you don’t understand about the generation that precedes yours? If you could only watch one sport and all others were banned for the rest of your life, which sport would you choose? What are your thoughts on pickled foods that aren’t cucumbers? Can you name one thing that you know is kind of ridiculous, but you’re adamant about and will argue over it to the death? Do you have a favorite flower or plant? Would you get a tattoo? Or, what’s your plan for your next tattoo? Which celebrity chef would you want to learn from? Is there anything that you to do to reduce stress? Do you have any wardrobe accessories you can’t live without? What’s something you’ve tried that you thought you’d hate but actually ended up liking? What’s the goofiest knock-knock joke you know? Choose one and explain your choice: dog, cat, fish, or bird? If you could become a master artist, why type of art would you make? Which country would you like to visit together? What’s your favorite thing for me to wear? What goes on your favorite ice cream sundae? What piercings would you like to get? Did you ever have a favorite childhood toy? Do you have a preferred kind of noodle for your mac & cheese? If you could relive one day of your life, which day would you pick? Would you rather have photos or paintings hanging the walls of your house/apartment? Have you ever won a TV or radio contest? If you did, what did you win? Which would you rather watch: The Today Show, Good Morning America, or CBS This Morning? What’s your favorite spa treatment? Or what kind of spa treatment do you most want to try? Should people unwrap gifts slowly or quickly? What’s your biggest complaint about the country? What is one thing you think could make our relationship stronger? Are there any festivals or events you’d like to go to the next time we’re together? What’s your favorite thing to see at a circus? Which amusement park ride would you head for first? What type of beverage do you drink most in a day? What’s one skill you’d like to learn or improve? What are your top five snack foods? Would you rather read the book then seen the movie, or see the movie and read the book? What’s the most recent comedy special you’ve seen? Is there a TV show you’re hooked on? How do you feel about mixing Play-Doh colors? What’s the longest you’ve ever worn a pair of jeans without washing them? What’s your preferred cut of underwear? What was your favorite fairy tale growing up? For what occasion did you wear the fanciest clothes you’ve ever worn? If you could meet one person today, living or dead, who would you choose to meet? What song comes on the radio and makes you feel all the feels? Crossword, word search, or sudoku? What is a project you’d like to make with your own hands? What is the most hideous fashion fad that you’ve ever seen? What’s the first the you’re going to do the next time we see each other? I stumbled upon your website from Pinterest. I was curious about whether any of these questions were what I used to ask my fiancee before we were married. We were also in a very long distance relationship. Funny thing is, when you’re worlds apart, it’s almost impossible not to find something to talk about. We were just so curious about each other’s cultures, experiences and general life. It was like a non-stop conversation. Lots of the questions you posted here did make it on in our conversation. I appreciate the post, thanks! Excellent questions! It’s important to know that long distance relationships can work too. These fun questions just help to strengthen the relationship even more!